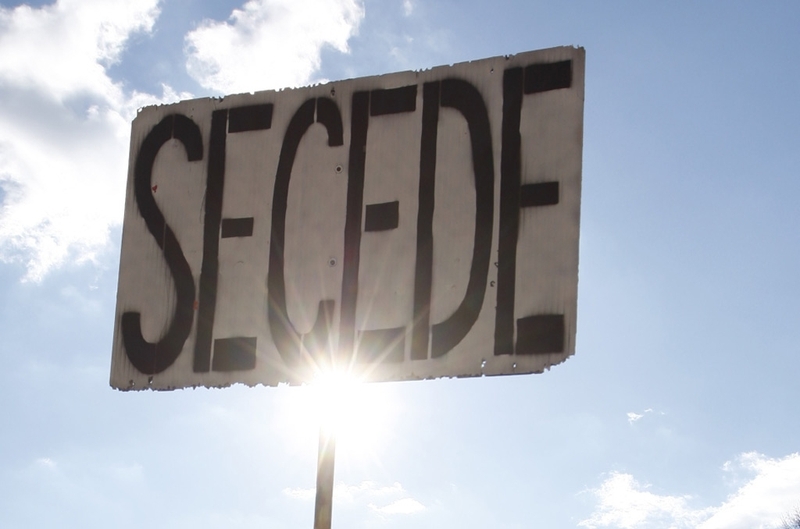 In the wake of the latest election, several states have petitioned the White House to peacefully secede from the United States. Sometimes, that is all that seems to be left in a system that is overgrown and overbearing. This entry was posted in 2007-08 Crisis, Autarchy, Budget Deficit, Bureaucracy, Capitalism, Closed System, Competition, Complexity, Culture Divide, Currency, Current Events, Debt Ceiling, Economic Policy, Economic Theory, Federal Budget, Free Land, Free Market, Frontier Thesis, Inflation, Inspiration, Interdependency, Keynesianism, Legal Theory, Marxism, Motivation, National Debt, Perpetuity, Political Theory, Polycentrism, Rational Choice Theory, Self-Government, Self-Reliance, Self-Rule, Self-Sufficiency, Sociology, Solutions, Systems Theory, Taxes, Trade, Wealth, Welfare Statism, Zero-sum. Bookmark the permalink.